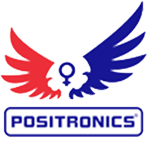 Positronics - Critical 47. Free US delivery. Critical 47 is the perfect cross between two of the sweetier strain available on the world. Strong mango and peach aroma and taste, with a vanilla touch. Powerul and tipically Indica high, relaxing and cerebral, increases appetite. Critical 47 is an early plant, needs only a few nuts, absolutely requires an odour control system.